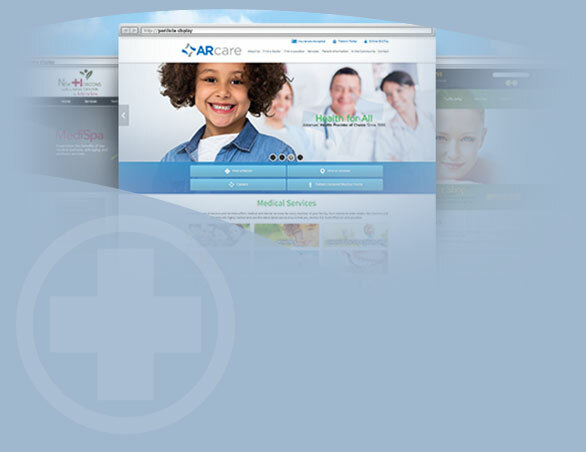 SEO for Doctors in Healthcare Marketing, Online Marketing, SEO. Search engine optimization (SEO) is a necessity for modern businesses of all kinds, including medical practices. Doctors previously only had to advertise in the Yellow Pages, but now it’s imperative to have a website that patients can find easily via the various search engines, such as Yahoo and Google. Healthcare Marketing in 2018: Emerging Trends in Healthcare Marketing. How the Face of Healthcare Marketing is Changing to Digital in Healthcare Marketing. Patients today do extensive research online, which means they are more particular about the healthcare services they receive. As they gain more knowledge about these services, they are also increasingly expecting personal engagement – e.g., more transparency and two-way communication – with their healthcare providers. In response, healthcare marketing is becoming more digital. 5 Top Tips for Marketing Your Medical Practice in Healthcare Marketing. The Importance of Claiming Your Online Directory Listings in Healthcare Marketing. Have you every done an online search for your healthcare practice to see what business directories show your profile? Or have you ever seen your practice appear on a website like Yelp or YellowPages.com, yet you never added yourself to this online listing service – and in fact, the information provided isn’t even correct? Over the past several years, hundreds of online directories, both business and medical, have sprung up to help people find the right healthcare provider. But if you haven’t claimed your listings, then chances are you are losing out on a lot of new patients. Healthcare Marketing Trends to Watch for in 2018 in Healthcare Marketing. Research shows that more than 90% of people now read online reviews, which means that word of mouth is becoming even more important. The rise of digital sites such as RateMDs, Healthgrades, Google, and Yelp have given even more power to patients. Medical practices can’t afford to be complacent when it comes to patient reviews because if they are, the internet enables any bad experience to become widely known, very quickly. In 2018, reputation management will become a priority. Healthcare providers will need to pay more attention to their positive (and negative) reviews and ratings: proactively building, monitoring, managing, and amplifying their online reputations. 3 Reasons to Make Digital an Integral Part of Your HealthCare Marketing Strategy in General, Healthcare Marketing. HealthCare marketing has always been about connecting with your patients in the right place and at the right time. Today, that means you need to meet them where they are already spending most of their time: on the internet.